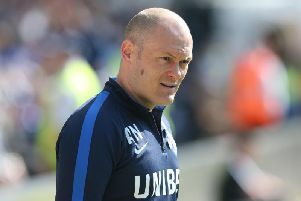 PNE in Numbers: Just how much has Alex Neil chopped and changed his side this season? Alex Neil has been accused in some quarters of being something of a tinkerman this season. With results disappointing, by his own admission the Preston North End boss is striving to find a solution as he looks to pull his side away from the wrong end of the Championship table. There are plenty of mitigating circumstances ahead of Saturday’s trip to Sheffield United. As well as long-term injuries to Sean Maguire and Billy Bodin, Tom Clarke and Alan Browne are among those to have battled niggling injuries during the opening weeks of the campaign. There have also been the suspensions. Paul Gallagher, Ryan Ledson and Ben Pearson have all already been handed three-game bans even at this early stage in the season. So has Neil chopped and changed too much? Renowned statistician Ben Mayhew, found at @experimental361 on Twitter, has taken a look at squad usage in the Championship as a whole. It certainly makes for interesting reading for North End fans, the study being done prior to PNE’s 3-0 defeat at early leaders Leeds United on Tuesday night. The 20 players used by Neil, 19 of whom have started games in the league, is the joint sixth in the division and puts the Lilywhites around mid-table. For context, bottom of the table Ipswich’s 25 is the most and Brentford’s 17 the least. Only Callum Robinson and Declan Rudd have started every Championship game for North End. The latter, whose position in the side is the subject of much speculation, has played every minute while the former has only been replaced once, with 10 minutes to go in the defeat at Derby. On average prior to Elland Road, Neil made 3.2 changes for every game. That is the second highest in the second tier, Derby and Nottingham Forest both averaging 3.3 before the round of midweek games. At the other end of the scale, Tony Pulis was making just 0.5 alterations on average at Middlesbrough as he favoured consistency of selection over rotation. The two for the game at Leeds was therefore less than usual for PNE. But if results don’t change soon, history suggests that Neil won’t be afraid to make changes in a bid to get things right.